Wolf Alice: "Hype Is Fickle, Fans Are Good." 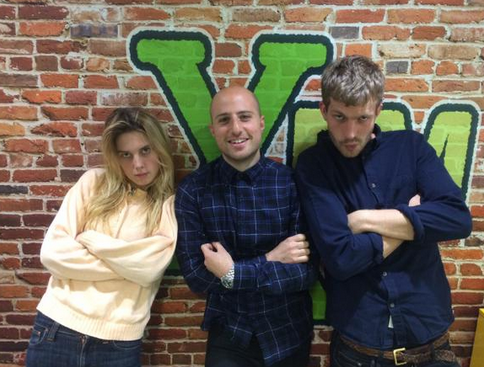 Wolf Alice have told Radio X that they don't want over night success - they'd rather build up a strong fan base. Wolf Alice have spoken out about what it means to be a band in 2015. Chatting with Radio X's Communion Presents, the band said "hype is fickle, fans are good." They were talking about the idea that new bands expect overnight success these days. "I think a lot of pressure's put on new bands, from labels, and management, to just go!" said Joff Oddie, the group's guitarist. "And [they're] like "where's the album? We're going now!" And I think you gotta play the long game. And I think a career built on a fan base that you've built up live is a lot more valuable than any kind of push you're going to have just due to hype." Wolf Alice are due to play Glastonbury Festival, a show they're excited for. "It's the show we're most excited for. But maybe that's because it's the next one." their debut album, My Love Is Cool, is officially release on 22nd June.